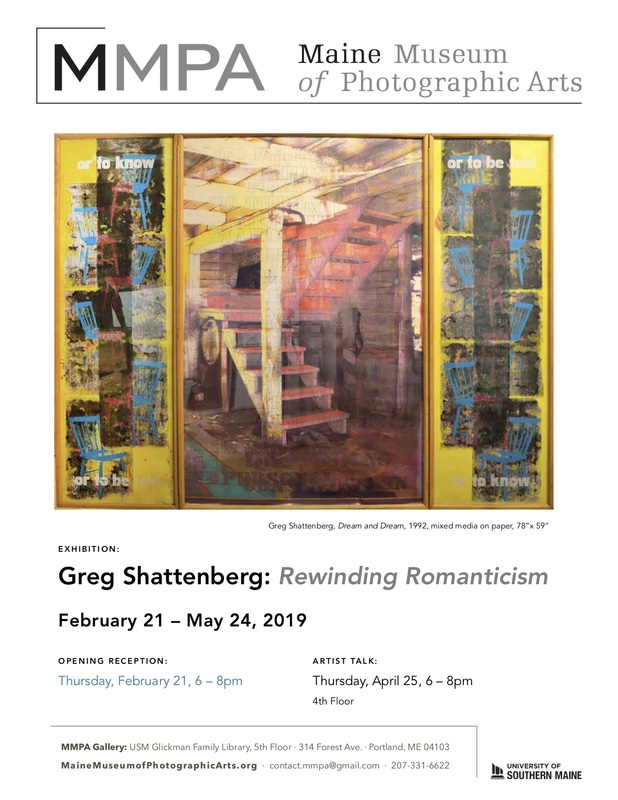 MMPA and USM Libraries present "Rewinding Romanticism," a mixed media exhibition by artist Greg Shattenberg. Opening Reception will take place on the 5th floor of Glickman Library, Thursday, February 21st from 6pm - 8pm. Artist Talk to be held on the 4th Floor of Glickman Library on Thursday, April 25th from 6pm - 8pm. The exhibition is available for public viewing on the 5th floor of Glickman Library from February 21st until May 24th, 2019.